On March of 2003 WASTEFALL were born by Alex and Domenik. Later on George Kanavaris and Ilias Kalivas joined the band. 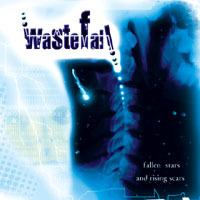 In only three months WASTEFALL signed with Sleaszy Rider and released their debut album "Fallen Stars and Rising Scars". 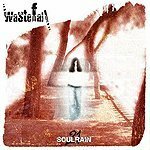 In 2004, "Soulrain 21" was released to critical acclaim in underground prog/metal circles. 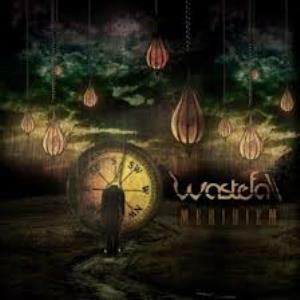 Though similar to the brilliant PAIN OF SALVATION of Sweden in many ways, WASTEFALL are set to carve their own niche in the artistic side of progressive metal. Many believe "Soulrain 21" to be their best album, though the debut "Fallen Stars and Rising Scars" is a worthwhile album itself. Though still young, WASTEFALL seem to be going places. Highly recommended by myself (Man Overboard) for fans of PAIN OF SALVATION or intelligent prog-metal in general. Because they're a relatively unknown Greek prog-metal band that deserve exposure. Some bands come across as original. Some bands simply nail the melodies and catchiness of the music. Wastefall, I believe, is the former. Their EP "Meridiem" is as original a work of art as I have heard, but there is still something lacking. I originally heard the track "Vulturnus", and I was thrilled. In fact, my wife was interested, too. The low-tuned guitars are heavy and played in such an off-tempo fashion that they end up gripping the listener. Even the lyrics and vox were interesting, and I couldn't really place the influences. However, like some other albums I've heard recently, I feel like "Meridiem" is a mixed bag, for each song is quite different. Many times this would be okay, but the EP ends up feeling unstructured and fragmented. There is nothing linking the differences in vox and style, except for perhaps a strangeness that pervades the whole EP. I almost feel like the band threw some different styles out there to see which would stick! Wastefall can really bring the awesome grooves and thundering riffs, and they certainly know how to break the music down into more complex and progressive segments. However, I come away unimpressed overall, for the EP ends up feeling broken, incomplete, and like a mish mash of cool ideas with no connections or meaning. This EP shows promise for the future, however, and they certainly earn points for originality. In the end, that means something. Pain of salvation clone? Absolutely NOOO... The first foretaste of this band gave me an image that the vocal is putting Daniel's picture in front of him while singing..But when I dif deep more into the album I began to discover his own characteristics and personality, And the results were an ocean of feelings, a seas of emotions combined with inexhaustible volcano of power that will blow your mind away.. It's difficult to chose best songs cause the album literally is a huge dramatic work that you can't turn your concentration away for a second otherwise, you will lose a moment of pleasure certainly, but just to highlight, E.Y.E, dance of descent and sleepwalk are the best and closest songs to me.. I urge any prog metal fans whom are searching for advance, unique and talented progressive music to give an ear to those Greek band.. This is the debut album from one of the most promising bands I have ever heard of my homeland, Greece. Unfortunately, Wastefall has recently disbanded due to some individual personal reasons. And I say unfortunately because for the Greek metal/prog scene this is an album that created lots of expectations to the fans of the scene and the genre overall. The music balances between modern (even nu- at times) and progressive metal with clear influences, the most distinct being Pain of Salvation. However, in my view, comments like 'POS rip-off' or 'POS copy' don't reflect the rality. Wastefall's music in FSARS is an interesting mix of melodic and agressive prog metal. The positive with this debut is that it is 'focused' to a certain style; the 'target' is clear. 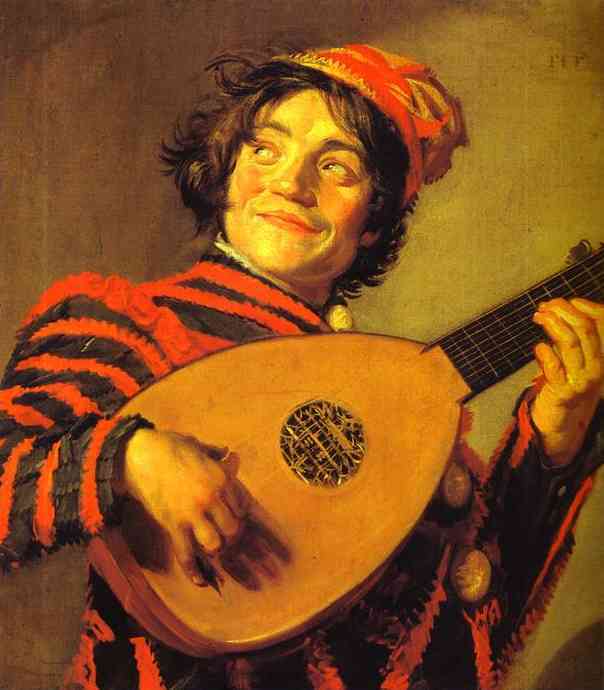 The musicians seem to be highly skilled and the compositions are solid. The vocals, a very strong asset of this record, resemble to those of Daniel Gildenlow but with the addition of the Greek accent (mostly realised at the most 'balladish' parts of the songs). The main strong point is the heavy, distorted sound of the guitars in the vein of Conception and Pain of Salvation. In terms of 'musical quality' the album can be divided in 3 sections, with the first and last being at a decent level and the middle part being rather weak. Impressingly, the agressive songs seem to fit the band better than their efforts in 'smoothening' their sound. The keyboards, wherever used, and the limited female vocals seem to work very well. The opening track (one of the highlights) sums up quite nicely what Wastefall's sound mostly represents - heavy agressive couples and melodic refrains - and gives you an idea of what is about to follow. In the following tracks I identified influences ranging from Iced Earth (Like father Like None) to Anathema (Confession). The only track that does not really relate with the album's sound is the closing electronica-based, trip-hop-alike One with the Fall. To the negative points, I thought that the production (though not bad) could be better, especially the sound of drums. The resemblance to PoS certainly creates an 'originality issue' and the Greek accent is another small con. The singer's voice in general is ideal for prog metal and the compositions are well-worked and presented. The heaviness is there and is possibly the best aspect of this solid debut. Recommended for fans of PoS and, possibly, Psychotic Waltz and modern prog metal listeners. Killing of Wolves, Like Father Like None, Subroutine and That Was All About are probably the best examples. Wastefall is a very interesting band in my opinion. What often bothers me with smaller, pretty unkown bands, is that the singer very often is to poor to make it worth listening (actually i belive this is a common problem for all progressive music.) Well... Wastefall does not have this problem. Domenik Papaemmanouil is an excellent singer and reminds me a bit of Daniel Gildenlöw from Pain Of Salvation. Actually Wastefall is kind of a Pain Of Salvation imitating band. But they do it pretty good with a bit heavier sound. The production is poor (listen at 3:40 on Lesser for example.) To sum up this is a pretty good album from a band with potential and a good singer. I hope to see more from them in the future! WASTEFALL created a very good debut which deserves a solid 3 star rating.It is obvious that they lack in originality,so what I expect from them in the future is a bit of variety in their sound and a more personal sound...Recommended especially for fans of PAIN OF SALVATION but it should also thrill explorers of a more dark,psychotic and atmospheric metal sound! Another prog met again? Why not! Couple of reasons why people, especially the young generation, like metal-related music or they call it progressive metal style. First, the music contains complexity, heavy riffing and harmonies. Second, some people like it because of its energy, power and speed. Whatever the reason is, this progressive metal genre has become a recent trend. Me too . I like it also. In fact, even in this sub genre, I can find different kind of music styles from Fates Warning with its floating style, Dream Theater with its speed and complexity, Pain of Salvation with its hip-hop as well as floating style, Shadow Gallery which a bit of following the Dream Theater's stream - all of them I enjoy. So, I don't see the reason for not liking this sub genre. The album lifts off with an instrumental with a bit of raw composition "Soulrain" (2:55) followed with "Stunned To The World" (5:06) which demonstrates raw guitar sounds and riffs. I can confirm that the singing style of the lead singer is similar (sometimes) with Daniel Gildenlow of Pain of Salvation. The music style is not similar as wastefall's music is raw (by design, I believe) especially in guitar mixing. "Empty Haven" (7:19) is a song with many tempo changes and relatively fast tempo." Lullaby For The Gods" (6:40) starts off with an ambient keyboard work followed with mellow music style. I like "Live With It" (5:28) because it has good melody and heavy guitar riffs and raw mixing. "Summerlonging Angels" (4:55) provides nice acoustic guitar work in fills and rhythm style. This song is similar to Dream Theater in style. The epic "Riot Of Oblivion (10:34) is a nice composition blending the heavy parts and a bit of symphonic style at background. I agree that "21" (5:03) is similar with Pain of Salvation with repect to, especially, singing style. We are in Greece. It's a lovely afternoon (13 April 2003) and a school bus is returning from a school trip. Inside the bus there are 49 students from 16 to 18 years old. It's around 19:20 when a truck hits in the side of the bus. The result was having 21 kids dead and 9 people injured. It was a real tragedy that shocked the whole country. Soultrain 21 is an album dedicated to those kids, a very heavy and touching concept. The first time I listened to Wastefall was in a festival in which they played the same day with Black Label Society, Velvet Revolver and Black Sabbath. Although the sun was still shining, Wastefall did an excellent live show playing tracks mostly from this album. When I bought the cd, I was disappointed mostly by the drums sound. Later I noticed that in the cd the drummer was different. The album was recorded with George playing drums while the drummer I saw live and is the current drummer of Wastefall, is Kostis Papaleksopoulos. The music has often been connected to Pain Of Salvation's. The music to say the truth is a mixture of power-metal with modern-metal (I won't say nu) and progressive-metal. Heavy riffs and melodies and Domenik Papaemmanouil's voice are what really show the power-metal tendencies while complexity and odd time signatures are what make the music progressive. Moreover there are a few other elements that make the music really interesting, experimental and unique such as influences from eastern music (Empty Heaven). The songs are mostly based on great, heavy and powerful riffs and have powerful choruses. The violin and keyboards show the other side of Wastefall with amazing passages. I won't say much about the lyrics or the concept cause I think it was something that really touched me. One might say that it's very poor in delivery or the opposite but in this special case I'll try not to comment. I will just say that Domenik's voice, while not my cup of tea, is really expressive and emotional. 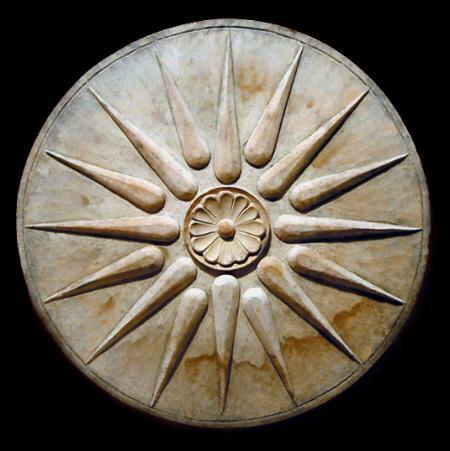 Overall I think it's a great album not only for Greek standards but national as well. I once happened to be inside the club they would perform at the time they did the sound check and I was pleased to see Domenik play the main riff of Blackest Eyes. It's easy to see the bands influences but nobody should think that Wastefall are a POS-clone or something. The artwork was made by the vocalist of Fragile Vastness (another great greek prog band) and is pretty good. A truly unique band that is worth checking if you are a prog-metal fan. A lot of people are reminded of Pain of Salvation when they listen to this band, and this is understandably so, however, I also get a very strong vibe of Audioslave on this album. 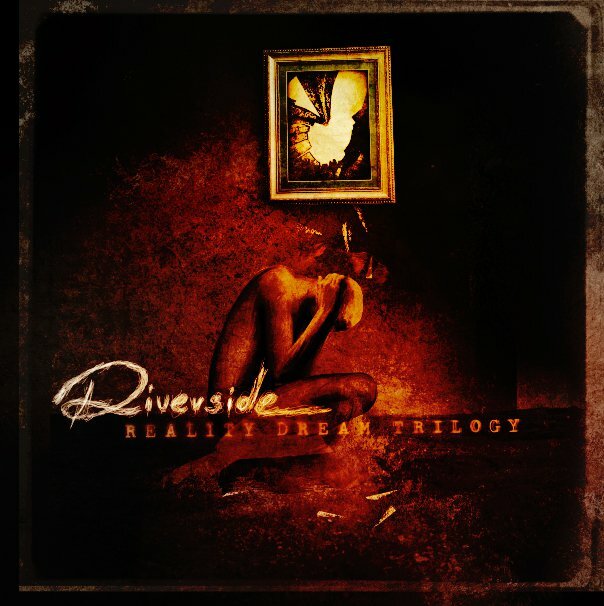 This album is also much heavier than PoS is, I'd say much closer to Dream Theater/Nevermore as far as guitars/bass go. So despite the dynamics of the lead vocalists, I'll go ahead and throw those comparisons out the window. The vocals offer more of a "mainstream" rock/metal feel to them than a "prog" sound. One thing that always disturbed me with this album is that they would seem like they would get a really great riff going, but then they would move immediately on to something else, and so the moment where you go "man that's really cool" only lasts for a few seconds. Another thing that disturbs me here is why metal band's feel the need to have the soft-ballad. Minutes to abandon is such a track, and while it isn't terrible, it offers nothing memorable or unique. The best track here is probably Dance of Descent, which has intriguing songwriting structure that reminds me of Orphaned Land's Mabool. Overall it's not that bad of an effort, but I never feel really moved by any of these tracks. 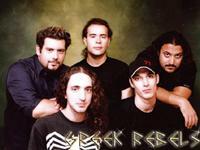 Wastefall is a progressive metal band from Greece. It's really great to see such a great act coming from Greece, because the country gives not only progressive metal, but many metal genres, some of the best support in the world, despite their somewhat low output of artists. Wastefall helps open the door for Greek metal artists to break more into the scene. 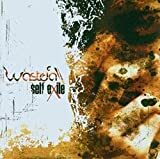 Wastefall's latest album Self Exile is an interesting release. This band has the ability to combine Progressive Metal with many different timbres. There's something for everyone throughout the course of this album. There's aggressive Metal riffing, bluesy guitar leads, sasy drum fills, fusion bass melodies, and even some Flamenco guitar leads. All in all, this album has a variety of points of interest. Chances are, a listener will pay more attention to different parts throughout this album, coming up with a pleasant surpise with each listen. There aren't really any standout tracks, but each one has it's own tools that it brings to this album. Domenik Papaemmanouil is the lead vocalist and one of the guitarists for this band. His vocal style is particularly reminiscient of Pain of Salvation's front genius Daniel Gildenlow. Papaemmamnouil's vocal style has a variety of textures that account for a big reason of why a listener can be so caught up in the flow of this album. Alex Katsiyiannis is the other guitarist. He relieved from vocal duties is able to show off more lead talents. The chordal harmonies in the guitars are all but boring. This band can pull of a variety of tones that attack the listener in different ways. The album is anything but relentless in it's atmosphere, it attemps to show many different moods. The lead playing from Katsiyiannis is first class. He solos of a variety of chords and modulations with great feel and phrasing. Christos Kyrkilis' keyboards unfortunately don't seem to be an essential part of this album. Just like Hermannson from Pain of Salvation Kyrkilis adds a great sense of melody to the compositions, but unfortunately unlike Hermannson, Kyrkilis does not have the unison role in Wastefall that Hermannson has in Pain of Salvation. A good performance, but not the most inspiring I have ever heard from a keyboardist. Nick Valetzis' bass playing helps to gives this band a distinctly different sound from Pain of Salvation. Unlike Kristoffer Gildenlow, Valetzis has a busier style with more of a fusion influence. His busier style of bass playing is built more upon virtuosity than Gildenlow's primarily rythymnic style. Valetzis puts in a great performance adding to the uniqueness of this band. Kostis Papaleksopoulos also adds to the rythymnic abilities of this band. Papaleksopoulos has an excellent ability to use his toms in creative fasions. His playing is very clean and direct. His bass drum technique is first class using a variety of patterns to fit tightly with the bass. The cymbals are hit at the perfect times, there isn't gratuitious cymbal noise throughout the album. A very very tight performance. The production is excellent. The guitars are crisp and clean. There is more definition than distortion which is always pleasant in the production of metal albums. The bass is very present in the mix witha strong tone with an awful lot of punch, but at the same time very clean. The keyboards aren't very noticeable, I would have prefered a larger role in production. The drums are excellent, there is definition to the toms, and there is no background noise carrying on into the next beat. The vocals are clear and warm, but with such an excellent singer, poor vocal production would be almost impossible. Excellent proudction. An excellent pickup for fans of Pain of Salvation and other experiemental metal bands that fuse togethor a variety of influences to make their music. 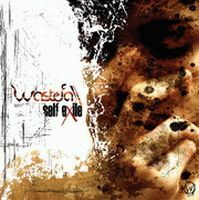 Coming to us from Greece is this Heavy Metal band name WASTEFALL. These guys play some old school styled Heavy Metal mixed with new school Power & Progressive Metal music. This is their third album & first release from SENSORY RECORDS. The music is very tight, well structured & has a lot of depth to it. These guys remind me of DREAM THEATER, HELLOWEEN, NEVERMORE & even a little PANTERA. The vocals are done in a Progressive/Thrash/Power Metal crossover style. The music sometimes has a Thrash metal style to it as well. I didn't expect to like this, but found myself playing it over & over again!!! Thanks to Man Overboard for the artist addition.